D E S I G N L O V E F E S T » BLOGSHOP WENT TO PARIS! i wore that thunder in our hearts bag every single day in paris. on my arm, not my head. it’s fun to walk around making such a statement! we felt it was absolutely necessary to give the students a few of these french cards from rifle paper co. (below) isn’t the handwriting and little paintings so perfect? that company does it right every time. and i fell in love with these eye poetry paris photographs. (above) i thought it would be a special memory, especially for the students that traveled far and wide to come to paris for class. and hold UP! can we talk for a second here about how cute those little food jars are? now that is a DIY project that needs to happen stat. when tifamade approached me about catering our blogshop i knew she was absolutely perfect. she makes tiny cakes and sandwiches and delivers them to you in a suitcase on her pink bicycle! how fun would it be to have her bring little cakes to you and your friends in the park? those “dude” cards by tokketok crack me up. especially because it is a word i cannot seem to stop saying these days. and how beautiful are those simplesong design calendars? such a good gift for a friend for the new year! and i have these ayofemi wish bracelets in a couple of different colors that I wear together. they are simple and delicate but they also add some brightness to your outfit. i remember seeing this store in paris on jordan’s blog. then we ran into it while walking around one day. you pick out different colored balls and they string them together for you to make a beautiful strand of lights. such a fun concept. if they were collapsible, i would have definitely bought some for my loft and brought them home with me. 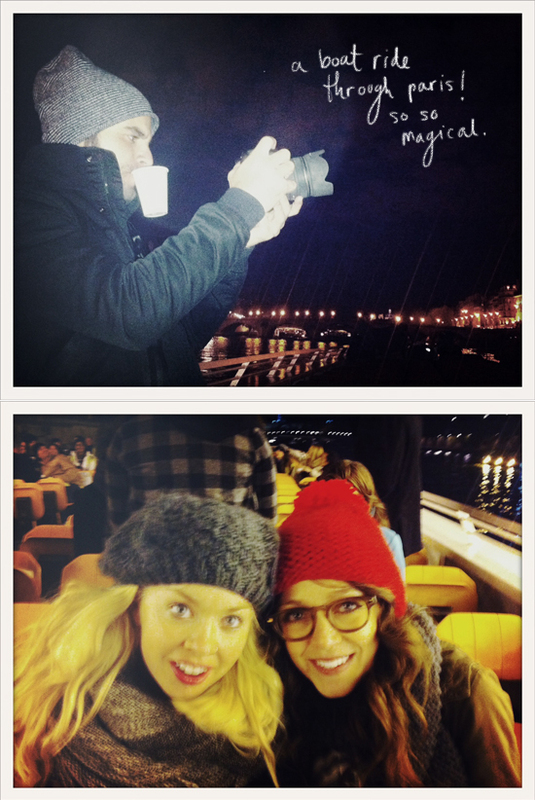 one of my favorite memories in paris was taking the late night boat ride through the city. sipping champagne and watching the eiffel tower sparkle is just as enchanting as it sounds. i don’t think i will ever forget that night. my boyfriend has been workin’ hard on putting together the video from both cities. 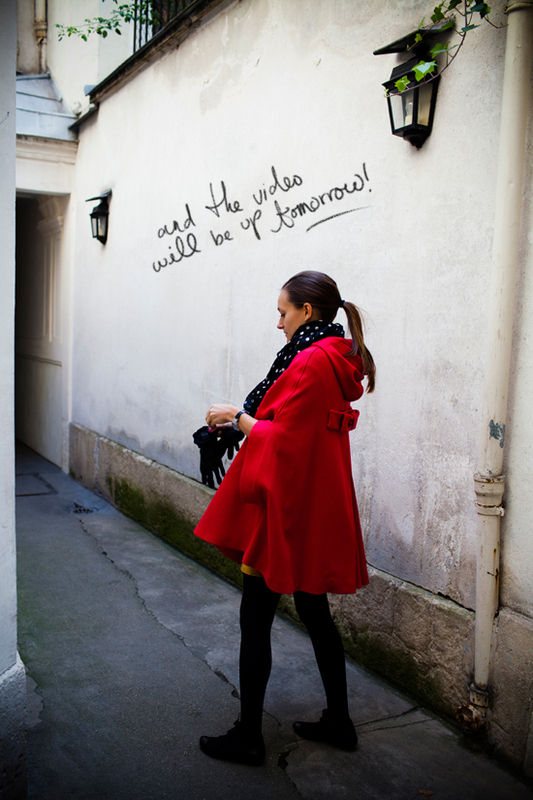 and i am itching to show you guys tomorrow! i just keep watching it over and over and wishing i was still there. so many happy times. wanna come to class in LONDON? sure you do! sign up here. all of our U.S. cities have sold out till next year, so we’ve decided to just keep goin’ through our requested city list. 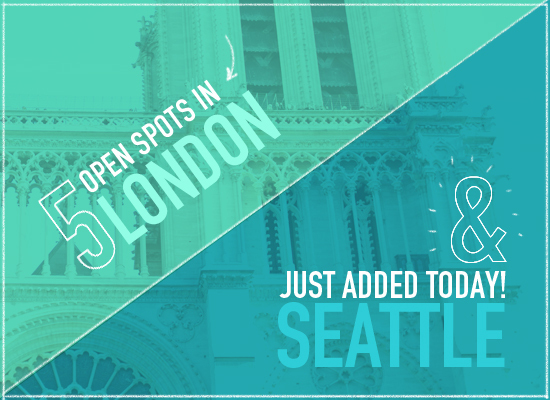 next up…SEATTLE! i am SO jealous! i hope you had an amazing time and you get to go back soon! FIrst off, I’m completely obsessed with your blog. So dang inspirational! I’m a (freshman) PreGraphic Design major and pretty much a ton of the gals in my 2D design class are all HUGE fans of yours and we all hope to attend a Blogshop before we graduate. Any tips on becoming the BEST graphic designer ever?? I love every single thing about this post! Wish I was there. wow, bri! looks like such a magical, beautiful trip! can’t wait to see more in the videos! amazing, bri! looks like the trip of a lifetime. i can’t wait for the video! loveee, can’t wait for the video…. and then philly right bri, right?! please. When you’re in Seattle, you HAVE TO go to Peter Miller Books (on 1st avenue, just up from pike place market) and then have lunch at Le Pichet across the street. I worked there for a year and a half, but it’s an architectural/design bookshop that you’ll fall in love with. What happened to the Vegas Blogshop?! This looks like it was such a blast. I love Paris! Such an incredible City. I’m looking forward to you guys coming to London! Unfortunately as a Student, that price is more than I can afford If I want to eat for the rest of the year! Would love to participate – maybe in three years when i’ve graduated?! Amazing as always! Plus I love love love that calendar! looks like you had an amazing time in Paris!! Its one of my favorite cities!! You and Angela are wonderful teachers. Bri! I am getting so anxious to hear the results for the LA Blogshop. I hope I win so much! Been checking DLF constantly today. Hope all is well and things are still fly in Los Angeles. yesyesyes Rifle Paper Co. does everything so well! Your blog has become a daily stop for me, I’m so far in love! can not wait for the seattle b.shop! can i be the first to RSVP!?!?!? I look foward for Seattle! I have anxiously been waiting for blogshop to come to Seattle but I’ll be in Europe during February. I will be the first to RSVP for the next one in Seattle! Come back soon! A lovely blogger, Nicole from Chestnut Orange has opened my eyes to the great work you do and the inspiration you give. I really enjoyed seeing this post and how you all made it happen in Paris. I live here now, I blog about design, fashion, photograph different shows, etc. Freelance is something beautiful, difficult at times, but I wouldn’t have it any other way. Keep up the great work!